There’s a lot of turnover in pharma sales training, and perhaps you haven’t heard of Impactiviti. Or maybe you have, but a quick 3.5 minute video overview wouldn’t hurt. This is my first effort at video blogging, so please be nice! Here I try to answer the immortal question, WIIFM (What’s in it for Me)? Beside our (free) recommendation service, explained in the video above, we have the most extensive Job Board for pharma sales training. That’s pretty good. We offer you a weekly e-newsletter (The Impactiviti Collection), full of pharma news, training resources, links to events, and lots of other interesting stuff. It’s free – sign up here (no, we never share your e-mail address). The Impactiviti blog is updated constantly with news, commentary, and helpful links. If you’re reading this, you’re on it! Feel free to browse. What else can Impactiviti do for me? We have a unique recommendation service. It’s very simple – you talk to us about your training needs, and we help you find the optimal vendor/partners. Here’s the quickie on-line SlideShare explanation. No cost, no fuss, lots of time saved. Read the testimonials. We also work with select clients on a fee-based consulting basis. For overall strategy, curriculum design, learning technology, vendor selection, and more…we add value when you add us to your team. More here. Need product training (binders and/or interactive)? How about creative ways to train on PI and reprints? I can help you with those – just e-mail (stevew at impactiviti.com) or call (973.947.7429) and I’ll be glad to talk over your needs and make recommendations. 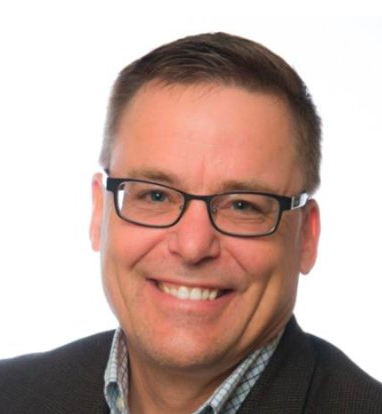 “I have worked with Steve Woodruff for several years together on different projects, and I’ve always appreciated his creativity and willingness to think “Outside the Box” when it comes to training solutions. He is more than willing to look at different options and suggest partnering with other groups to get the most out of project…” from the Testimonial files. Trivia alert – want to stump your friends and show off your brilliance at the next social gatherings? Here are the names for 16 things you never knew had names! Three up-in-sky goodies: 20 unusual weather phenomena (great pix!). Awesome galaxy cluster (from Astronomy Picture of the Day, or APOD). And, top Hubble images of colliding galaxies. Have you come across anything interesting you’d like to share on After Hours? Just forward it to me and perhaps it will appear next week! More on the proposed Massachusetts gift ban – the state Senate unanimously approved a first-in-the-nation law banning all gifts to doctors from pharmaceutical companies, but lawmakers removed a controversial provision that would have criminalized the practice…more. And, in a similar vein – Drug and device makers shouldn’t be allowed to offer freebies – including meals, gifts, travel and ghost-writing helps – to docs, staffers and students in any or all 129 of the nation’s medical colleges, according to a new report from the Association of American Medical Colleges, which spent two years on the project. News we can all applaud – more chocolate, better health! – Munch on dark chocolate on your way to lower cholesterol…more. PLUS – UK study enrolling folks for a year’s worth of “chocolate therapy” to measure diabetes impact! Woo-hoo! 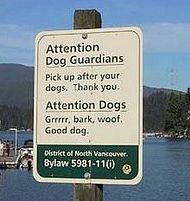 Too bad more municipal governments don’t have a sense of humor…! We are loaded up this week! Internet vs. Sale Reps – which do doctors prefer? And finally, how the flu travels the globe – interesting little article, but I really like the graphic! The phone industry is changing – dramatically. I’ve previously written about the iPhone (which I’m thoroughly enjoying), and Google’s free Grand Central service (one phone number that forwards your calls to wherever you are – also very good). Here’s one I haven’t tried, but which looks very interesting. MagicJack. $20/year. Plug it into your computer, make unlimited calls to the U.S. and Canada from anywhere. Here’s a review.